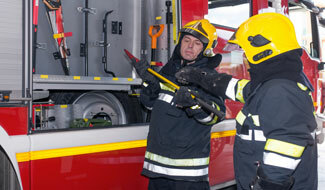 This website provides information that should assist Fire and Rescue Authorities in balancing risks, particularly in their wider role to protect the public, while meeting their legal duties to protect the health and safety of their staff and others. HSE has published guidance outlining how HSE defines heroism and explains how HSE will deal with such instances. Can I carry out my duties effectively and comply with health and safety requirements at the same time? Can I be prosecuted under health and safety legislation if I risk my life to save others? Sign-up below to receive news and updates on Fire and rescue services.